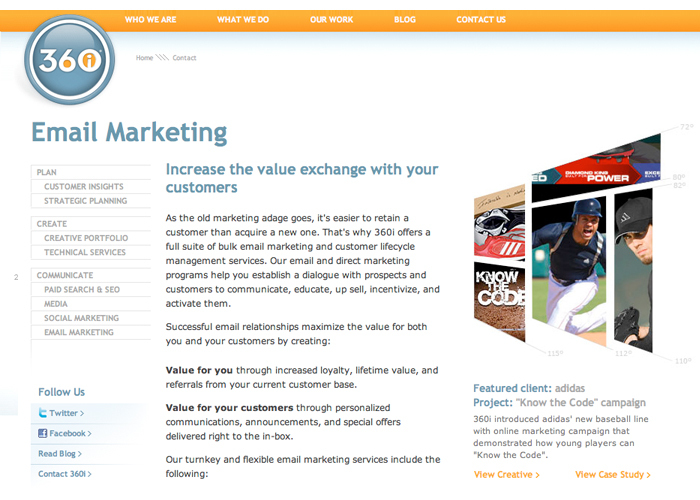 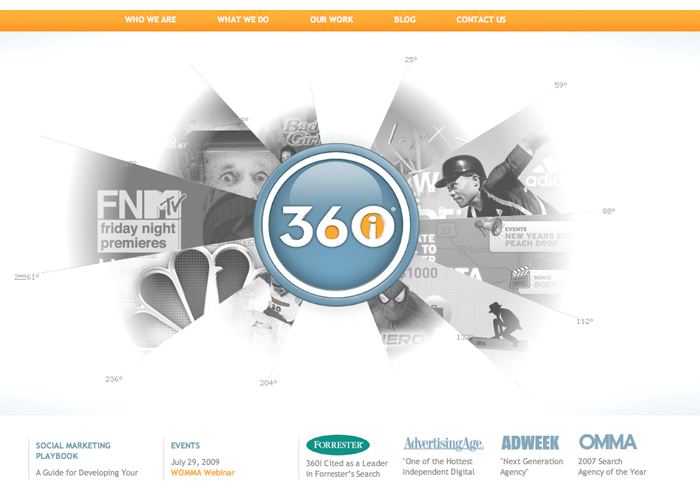 360i is an award-winning digital agency specializing in search engine marketing, social media, mobile marketing and web design and development. 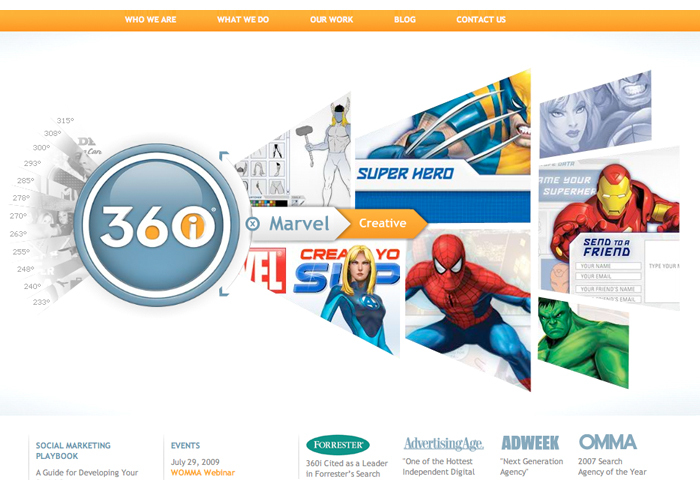 This project demonstrates the execution of an interactive creative work browser based on 360 degree concept where each project rotates in around the company logo and is revealed to display more information about their case studies upon user interaction or rollover. 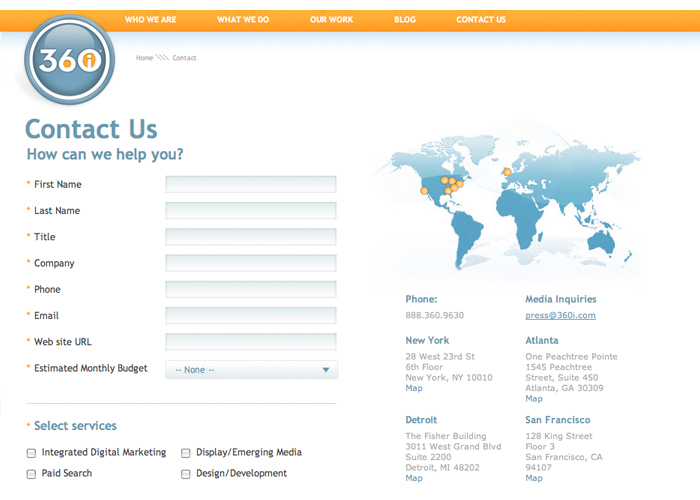 You can also see same concept was incorporated in some internal pages.